Saturday, June 9th (12:00pm – 3:00pm), we will be conducting a silent auction, from which 100% of the proceeds will be donated to Project Pinball. Do you have items that you would be willing to donate? These could be prize donations from businesses, artwork, parts, used board games, gift cards, or even a full-sized arcade or pinball machine. Simply fill out the form below to let us know what you’d like to donate. We’ll collect the items at the show and have them on display for the specified open bidding hours for the silent auction. No item is too big or too small, please give what you can! 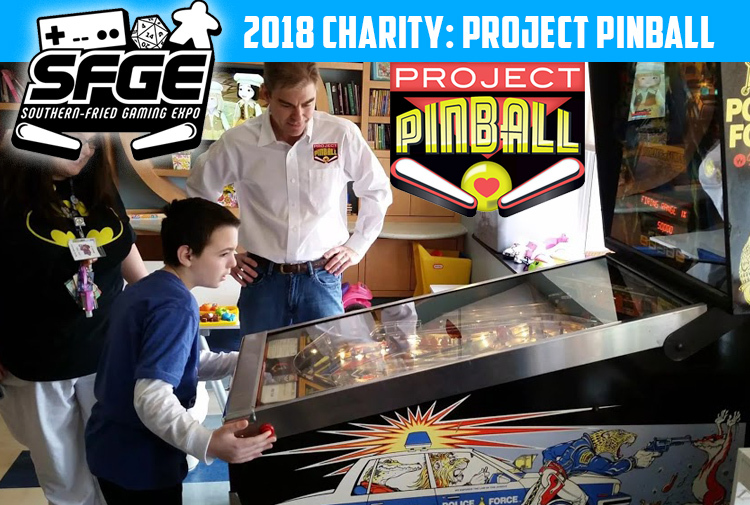 Headquartered in Bonita Springs, Florida, Project Pinball Charity is a registered 501(c)(3) organization that places pinball machines in children’s hospitals to provide recreational relief to patients, family members, and hospital staff. They have been donating and maintaining pinball machines since 2011, and have since become a nationwide organization with pinball machines in hospitals across the United States. They provide all the equipment, parts, supplies and the regular maintenance at no cost to the hospital. 100% of all profits given to Project Pinball will be used in the Atlanta area.